Disclosure: This post is sponsored by Savings.com; however all opinions are my own. It’s Party time! 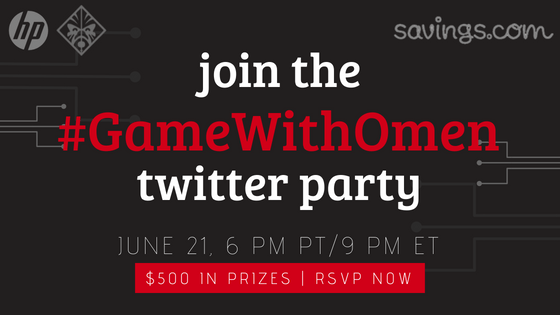 Join us on Thursday, June 21st at 6 PM PT / 9 PM ET for the #GameWithOmen Twitter party! We’ll be tweeting about HP ‘s Omen line of gaming computers, in general. There’ll be $500 in gift card prizes up for grabs, so be sure to click this link to RSVP to be eligible to win! RSVP: Click here to enter your Twitter handle! 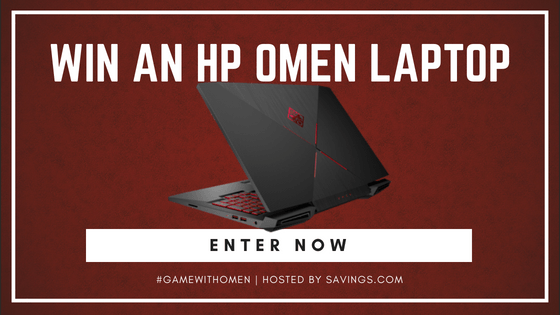 First of all… Lots of savings on HP’s Omen line of gaming computers! Did the name distract you? Me too. But don’t let that get to you! Be sure to enter the Giveaway! ENDS JUNE 22, 2018 hurry! Click on image to enter or HERE! 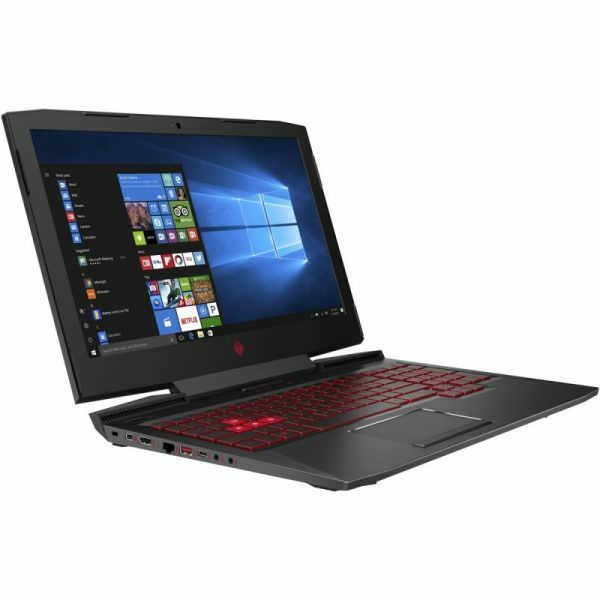 Would love to win the laptop, my kids have started to love gaming and would love to have that. Hope to join the twitter party too. Nice! Who couldn’t use an HP gift card. I’ll be there. Back in the day, I bet my husband would have been interested in this! I sometimes still like a high powered laptop that’s capable of handling tasks that your ordinary laptop user might otherwise not need. I miss Twitter Parties! Looks like I missed this one too, but man, I will keep my eyes out for others that come up. I love how you can win stuff, I used to co-host many of the Twitter parties held online and it was such a fun time watching people win stuff! aw man, I hate that I missed this! !